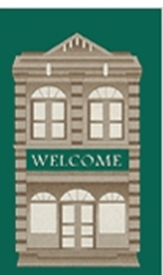 Downtown Perry Is Money for Your Business! Contact Perry City Hall at (850) 584-7161 x. 117. Your customers are waiting! Visit City Hall or call (850) 584-7161 today! PLUS: Gas piping and installation FREE! FREE tie-ins of your appliances to gas lines! City has surplus lots in residential areas that it will deed to individuals who are willing to meet the requirements listed below. Email dclayton@cityofperry.net for current list of available properties. Construction on new home must start within one year of receiving lot. Certificate of occupancy for new home must be within 18 months of receiving lot. Home must be owner occupied and homesteaded property. Home must use city natural gas for heating, water heating & cooking. Recipient must pay all costs of property transfer ($850 plus recording fees) prior to City drafting ordinance. Mobile homes do not qualify for program. If conditions are not met, the property reverts back to the City. Appear at Council meeting to ask Council for property and to answer any questions that Council may have. Council meets the 2nd & 4th Tuesdays of the month at 5:30pm. If Council approves request, an ordinance must be done to convey the property which takes two additional Council meetings. The City of Perry has opened registration for all non-road-legal motorized vehicles (4-wheelers/dirt bikes/ATVs) per recently enacted Ordinance No. 935 adopted by the City Council. The one-time registration fee is $5.00. Registration forms are available at City Hall in the Utilities Department. Owners must include the vehicle model, VIN number, manufactures and model year. 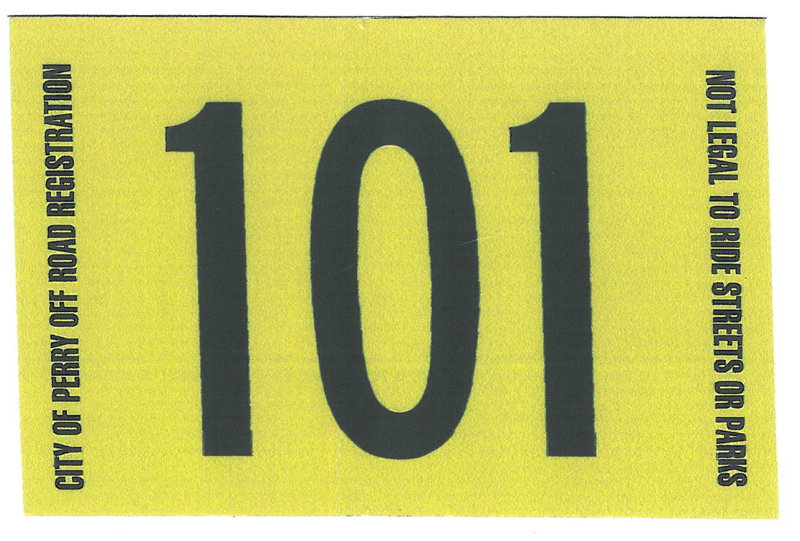 The stickers must be “clearly visible” at all times from both the front and rear of the vehicle from a distance of at least 100 feet, including when the vehicle is in operation. The Perry Police Department will start enforcing this ordinance on October 1, 2014.